Experience the unique comfort of the guest rooms and suites at Knickerbocker on the Lake. With room styles varying from contemporary to French country and Victorian, guests staying in our Milwaukee hotel rooms are in for a one-of-a-kind relaxing stay near Lake Michigan. Browse through our selection of luxury guest accommodations to find the perfect room for your next stay. Enjoy our deluxe non-smoking Standard Room. 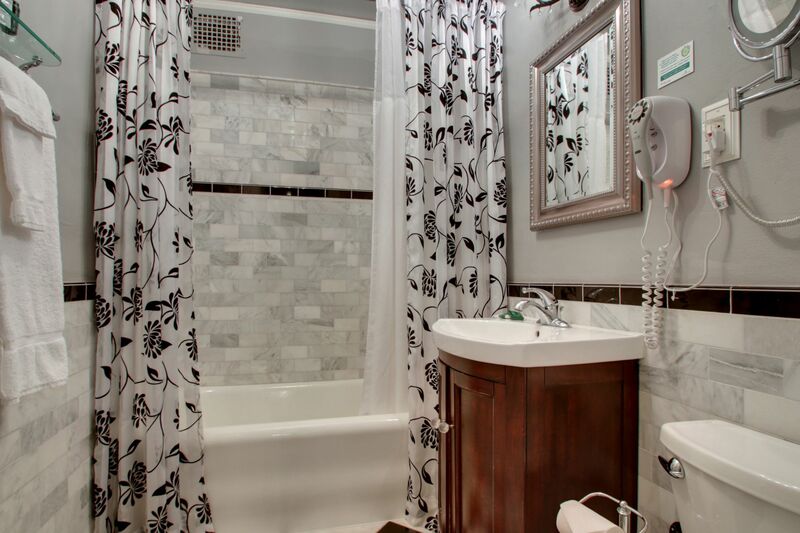 This room features a choice of one queen or king-size bed, complimentary high-speed internet, a kitchenette, oven, cooktop, refrigerator, microwave, dishware, cooking utensils, coffee maker with complimentary coffee, and voicemail. 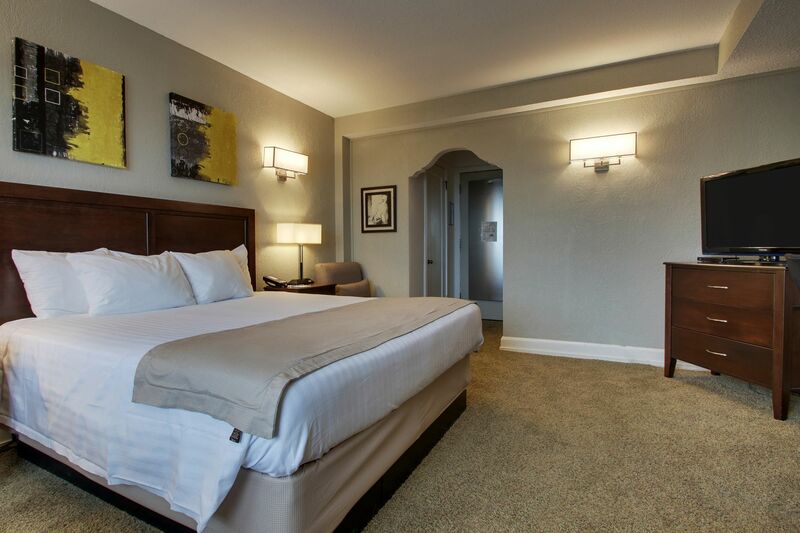 Relax in our non-smoking Junior Suite, complete with one queen bed, a full kitchen and a dining area. 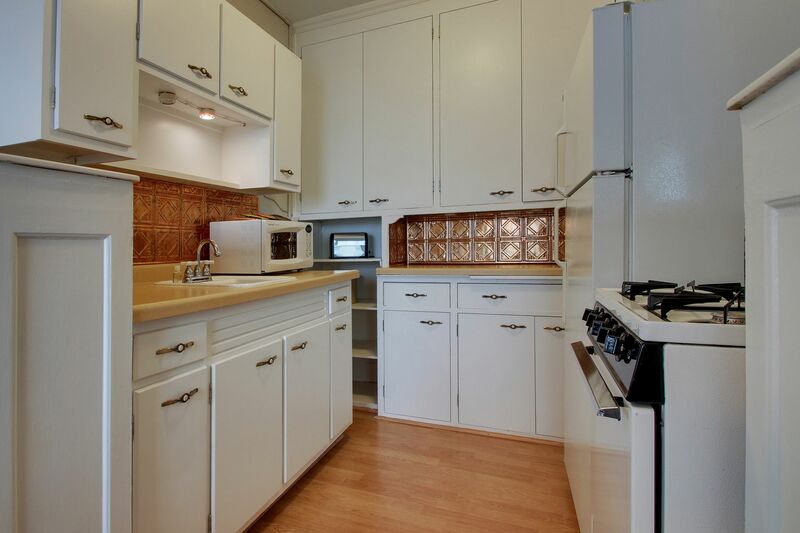 This room also features a shared living and sleeping area, complimentary high-speed internet, an oven, cooktop, refrigerator, microwave, dishware, cooking utensils, coffee maker with complimentary coffee, and voicemail. The classic non-smoking One Bedroom Suite features one queen bed, a full kitchen and a dining room. 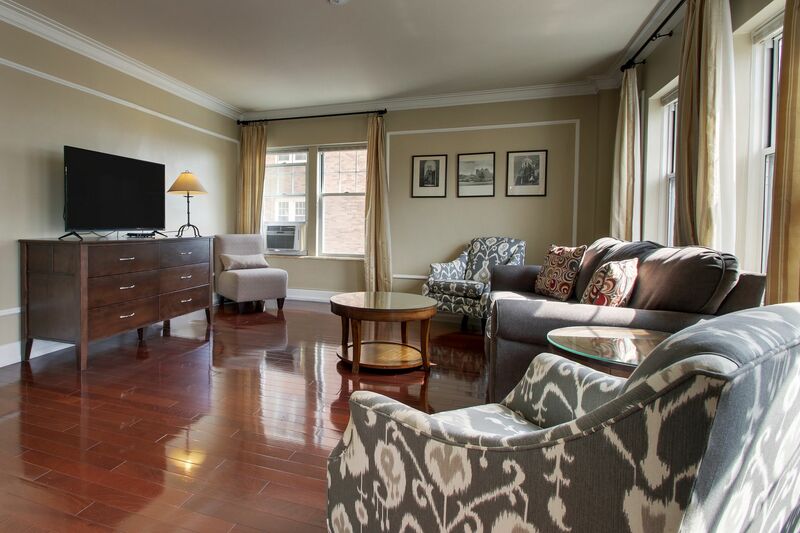 The separate bedroom and living room are complete with complimentary high-speed Internet, an oven, cooktop, refrigerator, microwave, dishware, cooking utensils, coffeemaker with complimentary coffee, and voicemail. 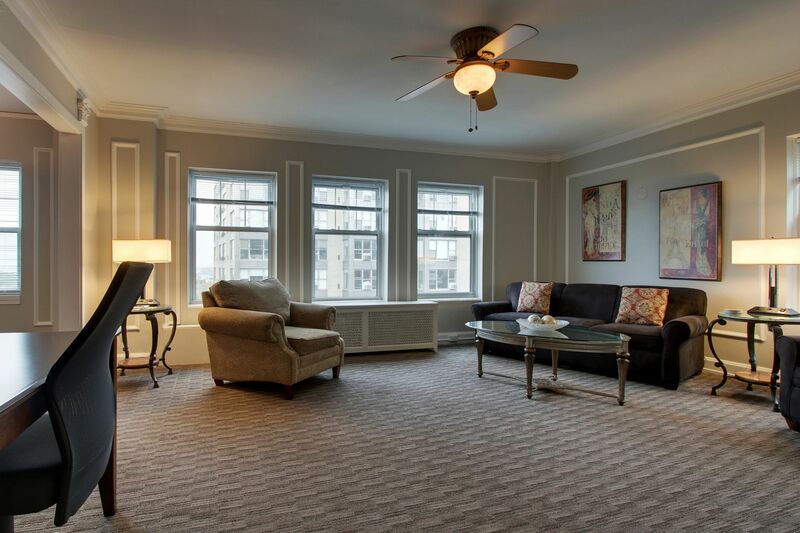 Reserve one of our One Bedroom Lakeview Suites to experience sweeping views of Milwaukee’s downtown and the Lake Michigan shoreline. Rest easy with a queen bed, a full kitchen and a dining room. In-room amenities include complimentary high-speed internet, an oven, cooktop, refrigerator, microwave, dishware, cooking utensils, coffeemaker with complimentary coffee, and voicemail. Perfect for families and groups, our Two Bedroom Suite features separate bedrooms and a living room, a full kitchen and a dining room. Enjoy the in-room amenities, including complimentary high-speed internet, an oven, cooktop, refrigerator, microwave, dishware, cooking utensils, coffeemaker with complimentary coffee, and voicemail.